The ownership of Carron sits opposite Laggan. 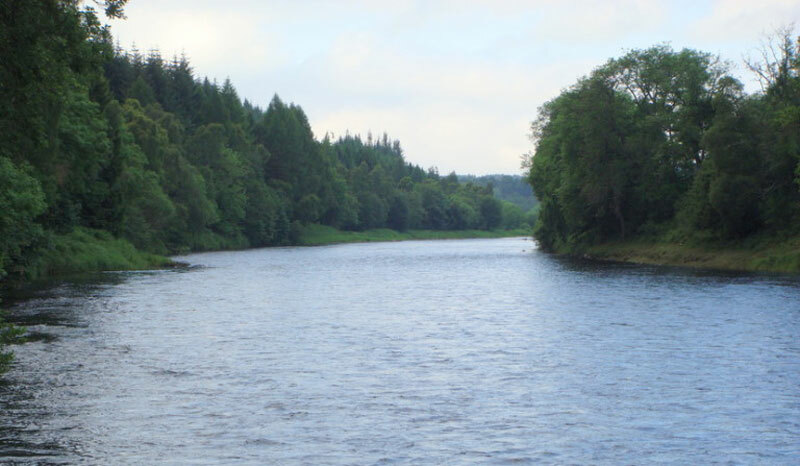 Each owns one bank of the river, Carron the right bank. The fishing is organised on “an up and down” basis. On Mondays, Wednesdays and Fridays Carron Rods fish the Upper Beat and the Lower Beat on Tuesdays, Thursdays and Saturdays. 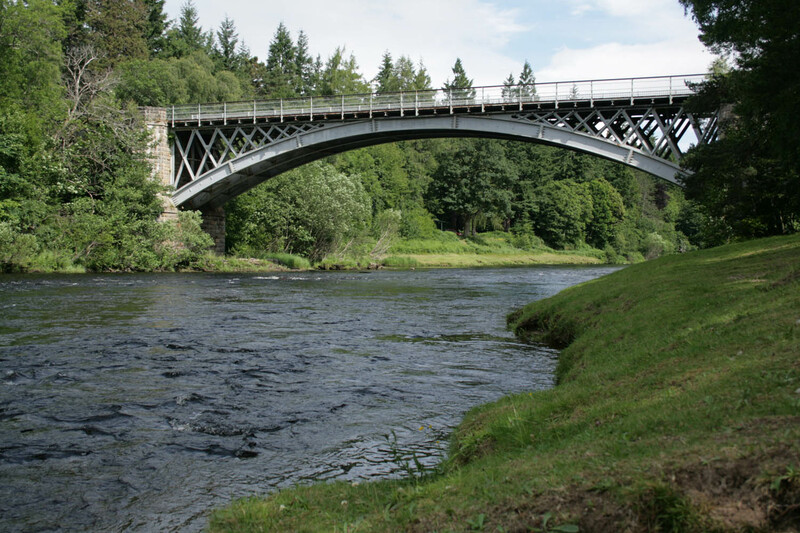 Access to both sides of the river is facilitated by Carron Bridge. With the possible exception of Pol Voulin all the fishing is best undertaken from the bank or by wading. There are six boats but for the most part these are only used to assist the elderly or infirm and always with a ghillie in attendance. 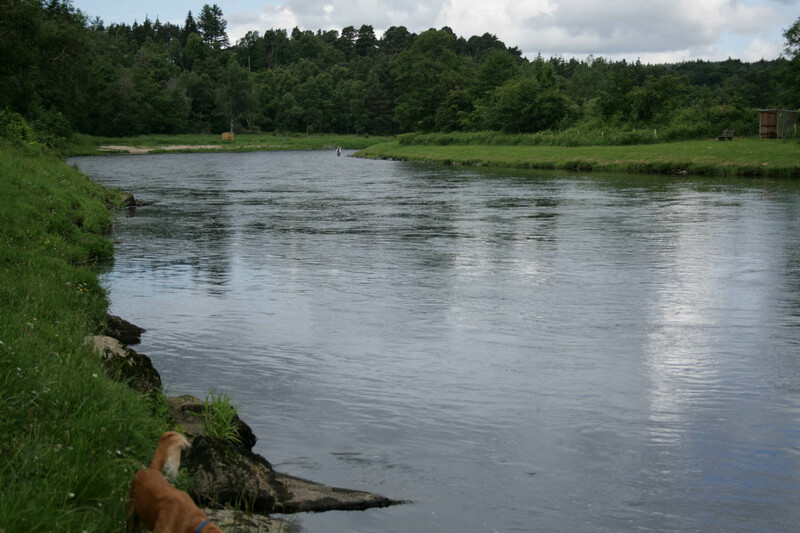 Carron like most of the Spey is a ”fly only” beat. The use of a wading stick when actually in the water is strongly recommended. The upper most Pool on the top beat is Pol Voulin. It lies immediately below Craigsteel , the bottom pool on the Knockando water. The neck of Pol Voulin is called the Horseshoe. 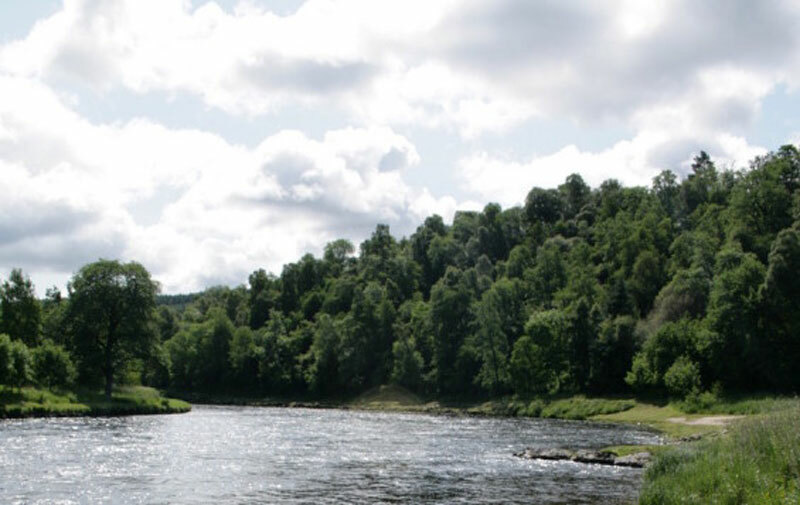 There are lies close to both the left bank and the right bank but the left bank can only be fished from the middle of the river and wading out to this can only be attempted when the river is below four inches. The lies on the left bank are against a rock wall and are vaguely reminiscent of other similar Pools on the Spey, such as Pol Shuan at Wester Elchies and Craigneish at Phones. The lies on the right bank are easier to access and can yield fish when the water height is around one foot eight inches or below. The “dub” or main pool of Pol Voulin is best fished from the right bank and the boat makes the task of avoiding the steep bank immediately behind considerably easier. Wading is challenging, the bottom is a bit “lumpy” but not impossible! Proficient left hand single spey casters will succeed. The Pool is at its best in a medium height, between two feet and one foot three inches but the very tail of the Pool has been known to produce a fish when the water is lower. On the right bank below the Stream is an area known as the Sands. This contains number of high water lies. The main current favours the left bank leaving an area of relatively shallow and quieter flow. This fishes best at a height of water between about one foot six inches and up to four feet. On the left bank more or less opposite to the Sands lies the Pool known as Millionaires. The best fishing here is in a lower water height and care should be exercised not to wade too far out since fish can run close to the bank and in shallow water. Further down the river the water becomes Mid Cast. This is fishable from both banks. From the right side the angler casts from the bank and fish can lie very near.. Although the deeper water is on this side there is a ridge of rock above, which provides protection to the fish from the force of the current and lies which fish best around a water height of one foot six inches. From the left side this area may also be fished but care should be taken not to wade out too far. In practice an angler can start in Millionaires and continue through Mid Cast and down all the way into Delmunach which might take the major part of a morning to fish properly! 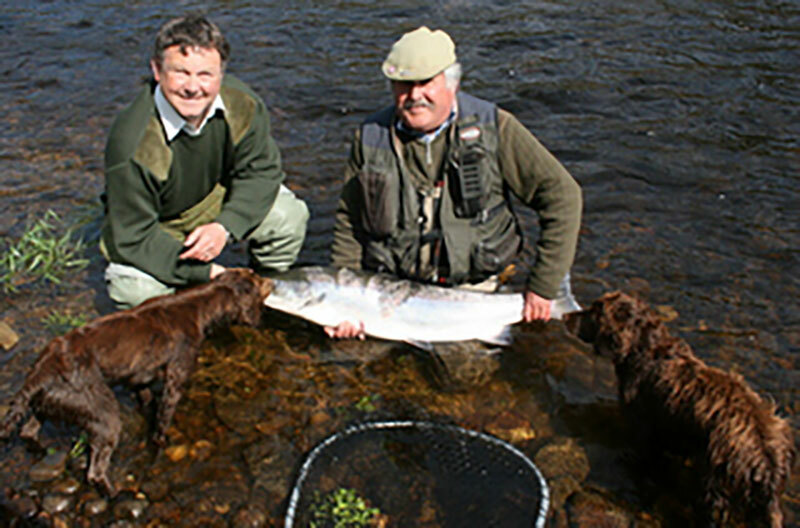 In Dalmunach fish can be caught from both banks. From the right bank the angler remains on the bank and in higher water on the left bank too. The Pool is deep and the river here is wide. There is no prospect of covering the whole area just from one side. 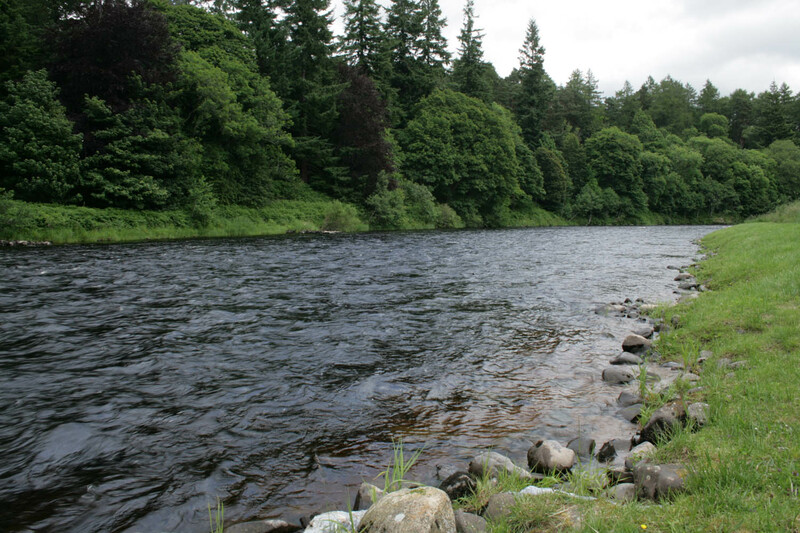 When the water is high fish lie close to either side having just run up from fast and steep water below. In a medium water they are closer to the middle and a long cast is needed to cover them effectively. Below Delmunach the river descends significantly into McGregors Stream. 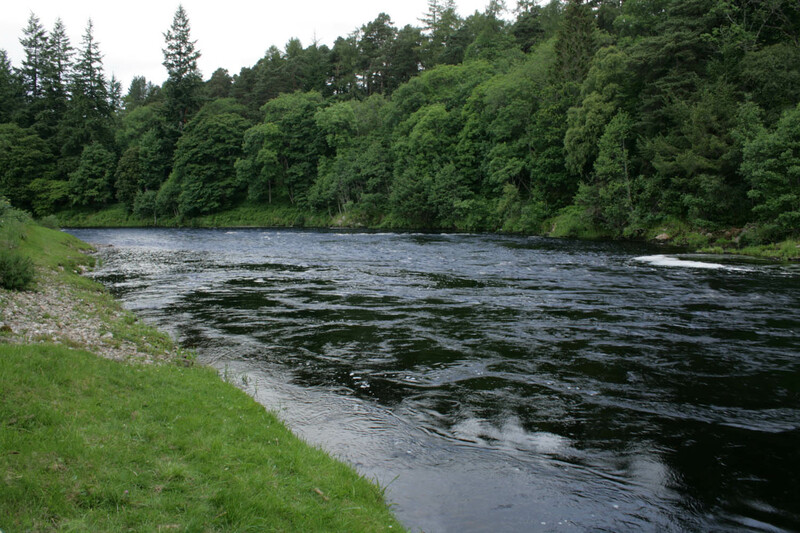 The main current is on the left bank and for the most part the fishing is from the right bank. However there is an area in the neck accessed via some wooden steps on the left bank which is fishable in low water. 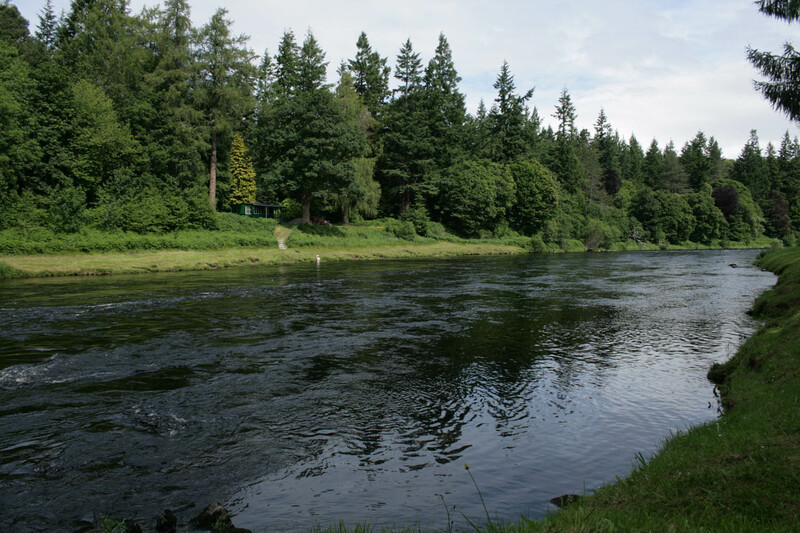 McGregors Stream is a long fairly steep pool which fishes best when the water is below one foot three inches and wading is required to cover the pool effectively. But this is a reasonably easy wade. Fish can be caught throughout but the top and bottom of the Pool are the most productive areas. Remarkably a big spring fish was caught in this pool quite recently. We now come to the bottom pool on the Top Beat which is Bothy. This is fishable from both sides. The left bank is generally at its best when the water is higher. 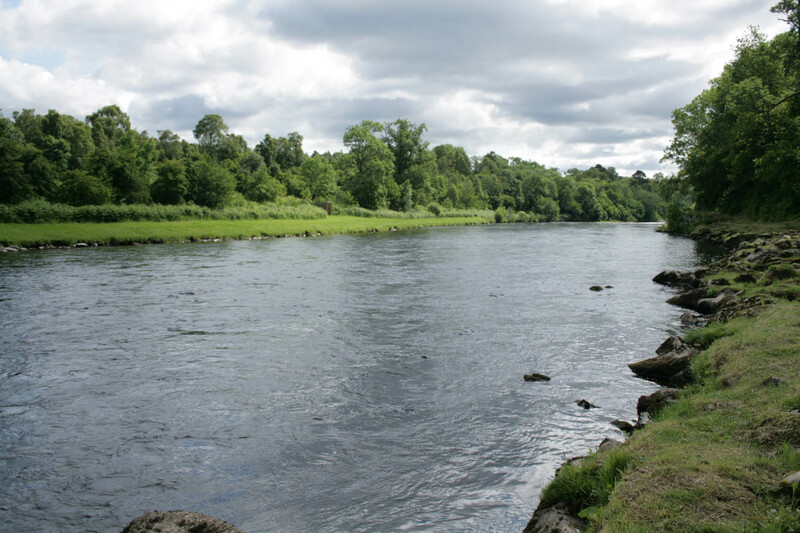 Fish occasionally can be found below the top croy on this side in high water but most of the fish on this side are caught when the water is between one foot six inches and upwards for a further foot. The right bank fishes well from the middle of the two croys all the way into the tail. Higher up the pool is favoured in low water and further down when the water is higher. But above about two foot six is too high. 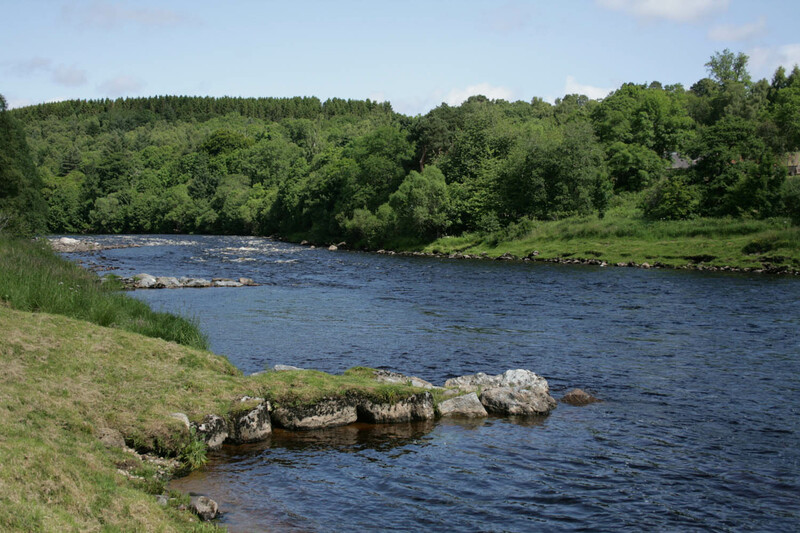 The top pool on the Lower Beat is called the Little Griggle which can be fished from both sides but generally it is fished by wading from the left bank. Fish can be caught once the water is below one foot six inches and again care must be taken not to wade out too far , particularly in low water, in high you would not want to ! Here a long cast does pay dividends but the fish can be close too. In very low water there is a short run close to the right bank at the very top of the pool in which fish can be found but they probably do not stay here long! Below the Griggle the river turns at right angles to the left and flows into the area known as the Bridge. Above Bridge fishes best from the right bank and in a reasonably high water, but fish can still be taken in a lower water from lies closer to the middle of the river and down towards the bridge itself. Above Bridge from the left bank can give a fish in lower water occasionally. But these lies are higher up the Pool. The Bridge Pool itself can be fished from both sides. In fact the river is wide enough here for the Pool to be fished from both sides simultaneously. 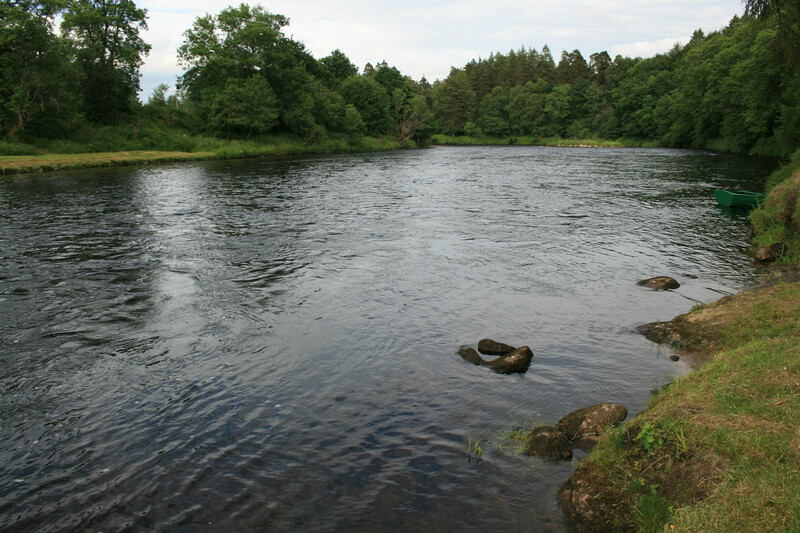 In higher water fish will lie close to the bank and higher up the Pool on both sides. In lower water fish will be found further down the pool and closer to the middle. 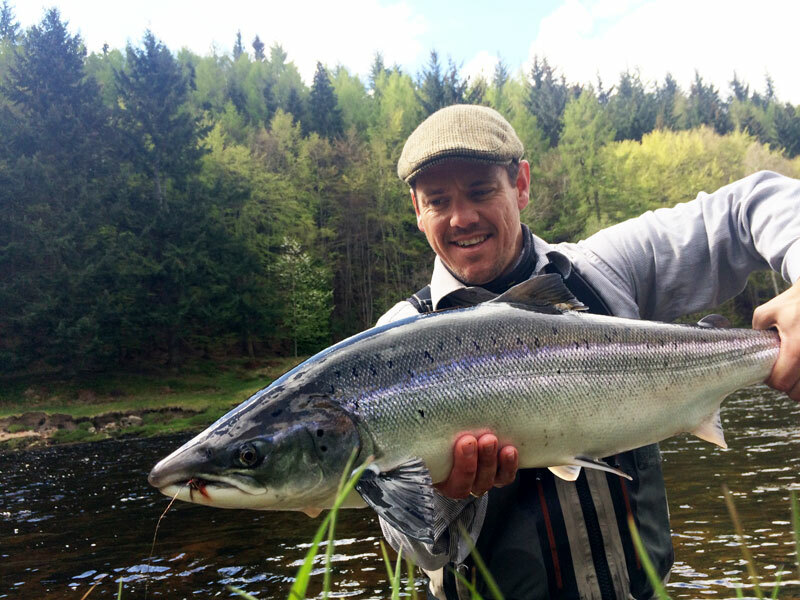 In the right conditions the Bridge Pool can be prolific and can also be a likely cast for the bigger fish. The pool below is known as Slabs. This is fished from the right bank and is best below about one foot four inches. This pool can be good in a prolific grilse year. There is a known lie opposite the Copper Beech tree towards the tail of the Pool. Below the Slabs there are some lies in the run towards Pol Dornie but these are at their best in very low water. The river in this area is very mobile hence the name of the next Pool. This is called Pol Dornie and means “stoney” or “pebbly” Pool. It has the same derivation as the town of Dornoch. The river hereabouts is very mobile and constantly changing as too are the fish lies . However fish do stay in this Pool, particularly from early June onwards, a fish before then is unusual. It is not an easy pool to fish. 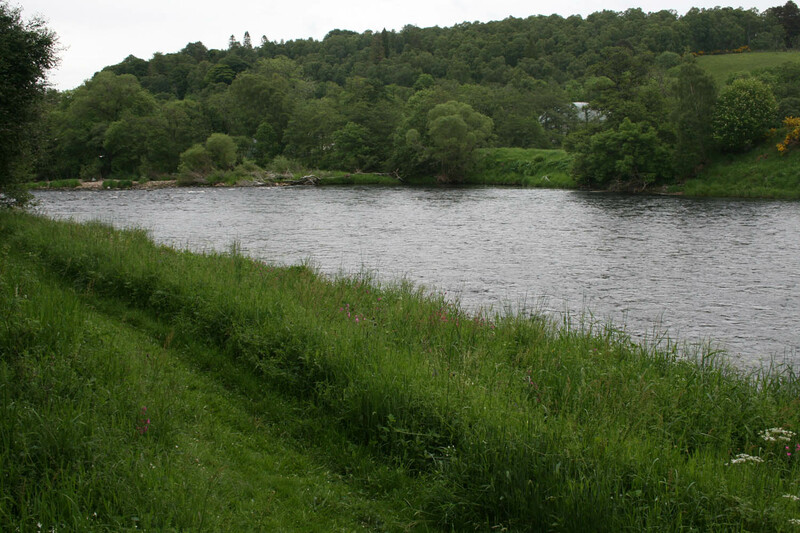 It requires a left hand single spey cast and towards the tail of the pool the angler is in somewhat deep water with a high bank immediately behind. Hooking the fish is only the beginning of the fun. Once achieved the landing has to be considered. The optimum place is back in the neck of the pool. To get there requires either wading back up some distance or a scramble up the bank or a combination of the two. There is nowhere else to beach a fish and the use of a net some distance below your feet requires a contortion beyond the ability of the standard human frame! The Pool below Pol Dornie is a very long one with a prominent croy from the left bank about half way down it. 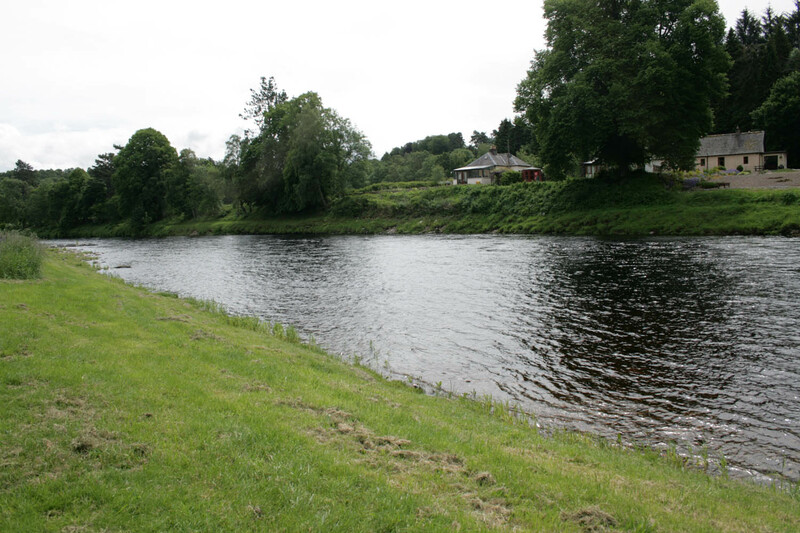 It is known as Carron Pool with Carron House opposite it on the right bank. It carries other names too including Daffodil and Gas Pool. The latter on account of the gas canisters which were once to be found on the right bank once they had served their original purpose of lighting Carron House. The whole of the pool which is some five hundred yards long is fishable, particularly from the left bank. 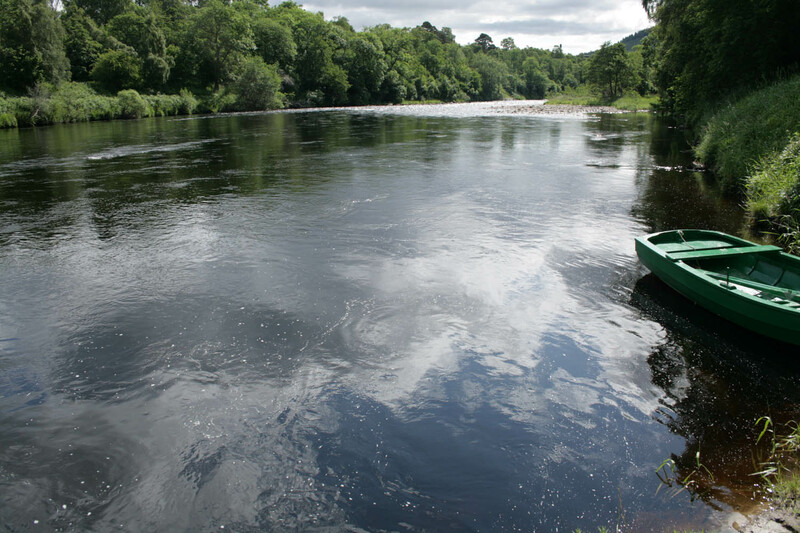 In higher water the lower part is favoured although there is a high water lie immediately below the small croy at the top of the pool. The largest spring fish in recent years was landed from this pool. Fishing can also be done from the right bank. The water needs to be below one foot six inches and above nine inches but in that range it fishes well, particularly below the large croy. It is a difficult wade and again an awkward left hand single spey cast. 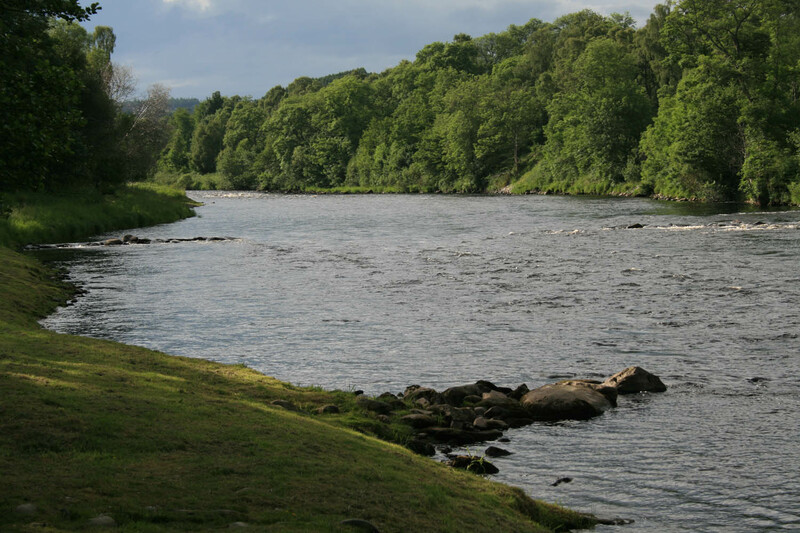 There is a high bank immediately behind the angler and few places to beach a fish. Nevertheless this is a rewarding and challenging place to fish. The pool more or less in any conditions is large enough to support at least two anglers fishing simultaneously. The last and bottom pool at Carron is called Delchapel. It lies above a long steep and shallow bank which divides Carron from Delagyle and Wester Elchies below. It is a natural stopping point for running fish when the water is below one foot three inches. It is fishable from both sides, just, but far better and easier from the left bank. The fish tend to lie towards the right bank and fishing from that side puts the fish very much too close to the angler. The right side is also where the current runs. Wading to the centre of the river is a requirement . This is a challenge at the top of the pool with some big stones to negotiate in a strong flow! However it becomes easier as the angler fishes down the pool. Ideally the fly needs to be cast as near to the far bank as possible. This is a pool of much character but not an easy one from which to land a fish. Once hooked the fish must be brought back towards the left bank to be netted or beached. Nevertheless like all of the Carron water it is very rewarding to return to the Fishing Hut from with a tale of a fish landed! To send us a message, please use the contact form below.